This is the time of the year to pull out all of the old plants from last year. Cut back perennials and remove any dead seasonal plants. Take all of the dead plant matter and add it to your compost heap, this stuff is gold, so make sure you mulch it down to get the energy and natural fertilizers back into your lawn and gardens. Don’t waste your money on expensive composts and fertilizers for your borders. Get some good old manure and spread a thick layer over the borders of your garden. Nature will do the rest! A combination of earth worms and rain fall will mix the manure into your top soil, giving you an enriched soil to plant new flowers into. Prune your hardy evergreen hedges and have a go at any deciduous hedges that have become overgrown through the last growing season. For instance, Wisteria should be pruned in the dead of winter to begin new growth for the summer. You can also prune back winter flowering shrubs that have finished flowering. Determine which flowers and veggies are best for your location. You can also head to your local nursery to get planting recommendations from local experts. Planning your garden is the most important part. Pro Tip: Mix perennial flowers with some annuals, this will help keep an array of colors in your yard longer. It’s also a good idea to plant according to height, making sure that taller plants and vegetables don’t block the sun from shorter ones. 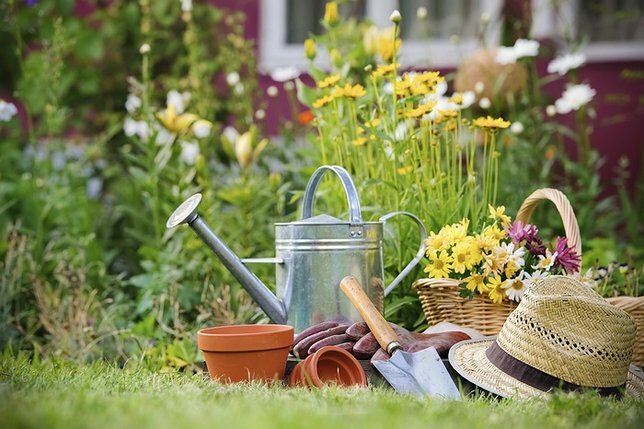 Don’t slack, you’ll have to stay on top of maintaining your gardens the entire season. Make sure to remove and cut off any drooping or dead flowers from any healthy green stems. This allows new flowers to bloom. The late spring is also a good time to put down a nice layer of mulch on your garden. This will help hold down weeds while keeping in water for those long hot summer days ahead. It also will break down over the fall and winter and help add nutrients to the soil. Subject: LongIsland.com - Your Name sent you Article details of "Five Tips For Prepping Your Garden For Spring"